Dr. Michael J. O’Connell, New Hampshire, commented that this is an interesting term whose meaning, or connotation has changed subtly through the centuries. By derivation of course, it means the “study of ideas.” That definition is now considered either archaic or belonging to the realm of philosophy. But its hidden, and increasingly not so hidden meaning has come to be something a touch nefarious. 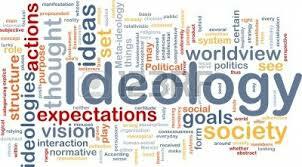 Ideology has come to be associated with extreme left and extreme right political or social factions. To personalize the word, give it a little sting, the targets of this word are called “ideologues” (so and so is just another crazy ideologue – you hear this all the time). Well this pejorative use of the word, drives ME crazy. We ALL have a large set of notions that constitute the way we look at, make sense of, and understand our environment. And of course, ideas are not always true, which I guess means scientifically proven or validated? So the notion that i deologues often believe in myths, or fanciful speculation has developed. This begs the question though, are the great masses of centrists in the world free of ideology? Of course not. Not even for us folks who split things down the middle, base our concepts on things we know, and things we think we know. It is especially popular for members of the extreme left to call members of the extreme right, ideologues, as though the term were a polite but definite slur. The right does the same to the left. I am waiting for the day when a socialist calls me a centrist ideologue. The unkindest cut of all. I guess then I will be accused of being wishy washy, hopelessly undecided, or worse (rather than thoughtful, balanced, or eclectic – now wouldn’t that be a terrible thing?). 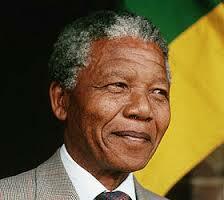 Dr. Michael J. O’Connell noted, Nelson Mandela was an effective revolutionary, perhaps even great. He spent nearly a third of his life in prison for the cause of destroying apartheid. This has the face of a noble cause versus an entirely ignoble system of racial inequality. Political leaders from the past two decades were tripping over themselves to attend his funeral. Why taint our remembrance of the man with the puny and tainted minds such as Obama, Clinton and Carter? On that note, why should we remember Mandela only for his courage in the face of African violence, when the total view should include his disloyalty to Winnie, his wife, during his quarter century of incarceration, and his loyalty to such infamous thugs as Libya’s Khadaffi and Cuba’s Fidel Castro. Something smelled bad about the celebration of Mandela’s life (the stadium in Soweta was apparently half full – not full as it is during World Cup Soccer), without a remembrance of his innumerable warts. The moral to this story is that all men and women have weaknesses and skeletons. Let’s once and for all realize that and stop the nonsense of idolizing fallible humans. Dr. Michael J. O’Connell, PainCare, New Hampshire noted that Obama is clearly tortured by the fact that after five years as president, he has nothing positive to show for his efforts. He has mentioned the word “legacy” in nearly all his recent speeches. He is worried, and he should be. 2. Obama shamefully blamed the death of the ambassador to Libya on ‘rogue elements’ to disguise the fact that it was a terrorist raid by no less than the “decimated Al Qaida” (this all during the final weeks of his tightening presidential campaign with Romney). Honorable Barack! 3. Obama oversaw the General Services Administration (GSA) that is a part of the executive branch, and through blatant inattention allowed Mr. Snowden, a tiny nobody, to steal some of the deepest secrets of the spy agency. Liberals are now embracing this travesty by pronouncing it a good thing to have transparency. Hahahahaha… Clowns, they are! 4. Obama has maintained Guantanomo, despite his assurances during his first campaign that the facility would be closed within a year of his presidency. 5. 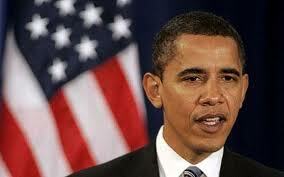 Obama has stepped up drone attacks, a weapon vilified by Liberals during GW’s presidency. 6. Obama in his haste to retreat from Iraq, neglected to leave one airbase in the wasteland desert where the US could have kept an easy eye on the regions thugs. It would have been so simple, and so practical. Fortunately, due to GW’s efforts, Iraq has a democratic government. 7. Obama in his haste to retreat from Afghanistan, is withdrawing without leaving a strong government in place (certainly not democratic), again no airbase, and the Taliban are rapidly regaining the heartland. Unless by some miracle ACA/Obamacare is resuscitated, Obama will have a legacy of markedly reducing US influence (something that even mainstream Liberals applaud of course), angering our allies, endangering foreign travel, increasing Mideast tensions, and disseminating and fertilizing Al Qiada. Nice. The desperation of the Obama presidency to salvage some sort of modestly respectable legacy has resulted in a most regrettable decision…to make a deal with Iran. President Rouhani may have perfectly legitimate intentions (though I much doubt that), but he does not rule Iran. He is a titular head, akin to John Kerry himself, a secretary. The Supreme Ruler of Iran, Khamanei, is truly in control and must be having a good chuckle over the supreme naivete of John Kerry and Barack Obama. In exchange for significant loosening of sanctions, sanctions that have taken a decade to cobble together among our allies and finally have an effect, Rouhani has agreed to allow inspections of several of the more ‘threatening’ nuclear sites in the country and will decommission the facility with the greatest capacity to enrich uranium to weapons grade. According to this treacherous agreement, Iran can even further enrich at other facilities. 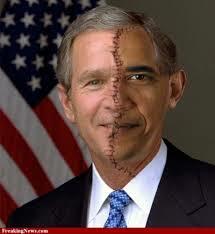 Did we not learn our lesson with Saddam? These folks have a different sense of the word trust. Just as Saddam deftly moved equipment from one storage facility to another, one step ahead of the inspectors, so will the Iranians, in a cat and mouse game. Furthermore, why does Kerry so trust our esteemed intelligence department that so woefully bungled the imaginary weapons (WMD) of mass destructions in Iraq? How does anyone know where Iran is truly hiding its ability to manufacture the most serious WMD possible? This deal has not been fashioned to make the region more secure, it has been hastily cobbled together in hopes of giving Barack one positive element to his bleak legacy. In all likelihood, it will add to one VERY sad presidency. Incredible the transformation I have witnessed this past month in the perspectives of the highbrow liberal talking heads Anderson Cooper and Piers Morgan about the Mayor of Toronto, Rob Ford. Two weeks ago both these CNN evening strongmen were in lockstep, vilifying other more socially conservative press agencies and various lay and even medical opinions regarding poor Mayor Ford and the unfair treatment he received regarding his eccentric, rather innocent yet playful antics – you know, alcohol stupor and smoking crack?. Now, under closer scrutiny by countless addiction physicians Piers and Anderson have realized the monumental error in their ways and are now practically demanding the deportation of the portly abusive, boisterous, bing drinking, crack smoking addict. Bill Weir, another very sage CNN spokesman has been laying on abuse of his own, in persistently prodding Ford night after night. Leave the drunk to Hell alone. He lives in Toronto and has been rendered powerless by the council board. Lord, let him slink off and get treatment in a rehab. Keep up the pressure and Ford will put a round in his head, or maybe the head of Bill Weir. Amazing how CNN has changed its tune in so little time, when anyone with half a brain (even Ford) could have identified a man in trouble weeks ago. Clearly, no brain trust on CNN evenings. It must be a bitter pill for Liberals to witness the disintegration of a presidency, particularly a very liberal one. 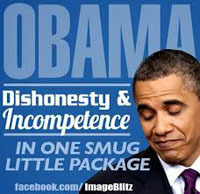 The list of campaign promises that Obama has failed to score on is indeed impressive. In fact he has succeeded at…well, nothing. In my modest opinion, it didn’t have to happen. I trace the last five years to what transpired during his first year…the underhanded passage of Obamacare. If he and the Senate Democrats had slowly put together well conceived legislation that was reasonable and fiscally feasible, and passed this law with bipartisan support, he would have had his gigantic healthcare “reform.” Instead he and his liberal friends permanently angered so many Republicans that the contempt has colored nearly every legislative decision ever since. It seems important to remind folks, who typically have very short memories, how Obamacare went down, since network news, and certainly the NPR Nightly News Hour would never do the favor. Scott Brown’s election to fill the Senate vacancy created by the death of Ted Kennedy, created a Senate that was not filibuster proof. The House had already produced its own version of Obamacare, but the Senate preferred to create its own, but this would take time, so much time as to allow Brown to be sworn in. Well the Senate, and the President, could allow that, and the Senate quickly approved the House version it didn’t like before Brown came on board, voila, filibuster proof. Even though entirely legal, the way in which the Affordable Care Act (ACA) gained passage had done its damage. And for this reason, the remaining three years of Obama’s term will not go well. So much for his legacy as the first black president of the US. Not a particularly positive way to celebrate diversity. What explains the fact that this president, who more and more seems to be making G. W. Bush look like a MENSA candidate, still has some flagging but significant support given all the above ‘achievements’? Does this not say something about the Democrats and Liberals in general? Might there be an element of clinging to that once gleeful notion we were all fed about the first black man to be President? Isn’t it time for the Democrats to come out of the closet and reveal that they backed the wrong horse? Maybe next election, if they do not choose a female, they will be a bit more selective, and a little less blindly jubilant, if their choice is a non Caucasian. 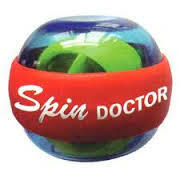 I love the way the Liberal leaning talking heads are trying to spin the Obamacare rollout fiasco. “This is all part of introducing a new program, glitches occur.” Laughable, since this legislation has been in place for over four long years. Admittedly there have been delays of certain portions of the law to allow certain parties to catch up, however this enrollment date has always been firm, VERY firm, and Obama was sure to drive home that point during the recent budget/debt ceiling debacle. Now the Liberals are saying that it is ironic Republicans are holding hearings on the abominable rollout, saying that it is odd that now the Republicans want to be so involved in the process as to hold hearings on the website issues, while just weeks ago wanted to kill Obamacare altogether. Really??? If you were stranded on a desert island with little hope of immediate rescue, and it starts pouring for days, do you lament being wet, or do you collect fresh water to drink? It only makes sense that if the Republicans cannot get rid of this nasty hugely expensive legislation now, might as well perfect its roll out and see what happens. Obamacare may die by its own lack of merit, but the Republicans should no longer be viewed as trying to hasten its demise. Dr. Michael J. O'Connell of Barrington, New Hampshire, has forged a distinguished career spanning over three decades, as entrepreneur, physician, businessman, philanthropist and healthcare consultant. As former owner, administrator and CEO of a 225+ employee multi-specialty medical practice, Dr. O'Connell has dedicated his entire professional life to helping patients with family medicine and especially those experiencing chronic pain and all aspects of addiction. Since selling his family of healthcare businesses, he has never once contemplated retirement despite his rich and fulfilling journey, but instead has turned his focus to consulting in an industry starved for courage and creativity. Having weathered many political, technological and legal challenges, there is hardly a storm he has not confronted, a tempest he has not quelled, an urgent need he has not met. While the talking heads and self-proclaimed experts in the field have assumed the conventions and standards of the times, Dr. O'Connell does not believe in merely reflecting the herd mentality, but rather in leading the charge. Eschewing political correctness, Dr. O'Connell says and does what needs saying and doing, and not what the mindless masses expect. In addition to the continual education afforded by his variegated life experiences, Dr O'Connell earned his BS in Biochemistry at the University of NH in 1975, his Medical Degree from Dartmouth College in 1981, interned at Walter Reed Medical Center in 1982, Residency/Fellowship at UCSF in1986, and finished his Masters in Healthcare Administration at UNH in 1995. Dr. O’Connell enjoys many outdoor activities, including rock climbing, snowboarding, hiking, and golf. Through the decades Dr. O'Connell has supported many non-profit charities to include the St. Charles Home in Rochester NH, the Tri City VNA and Hospice, Hyder House, and Cocheco Valley Humane Society. To the latter organization alone Dr. O'Connell has donated over $180,000 and pledged another $250,000 in the “Bring-Us-Home” campaign for a new building. His “Matching Donations Christmas drive” has generated over $175,000 in charitable giving from the community. In addition Dr. O'Connell has participated in many dozens of other volunteer and donation efforts locally as well as in Africa and the Dominican Republic.